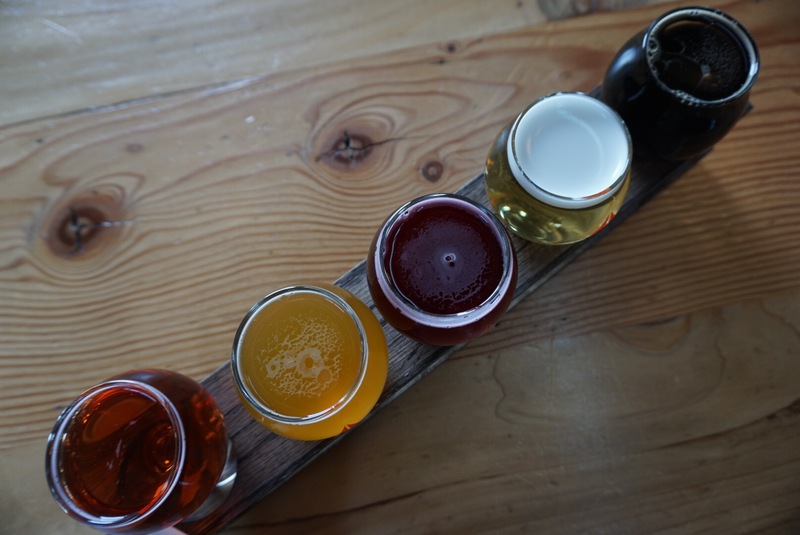 With all the amazing local craft breweries in Vancouver and across BC, it’s easy to forget that our Southern neighbours are producing some equally delicious beers. The best part? 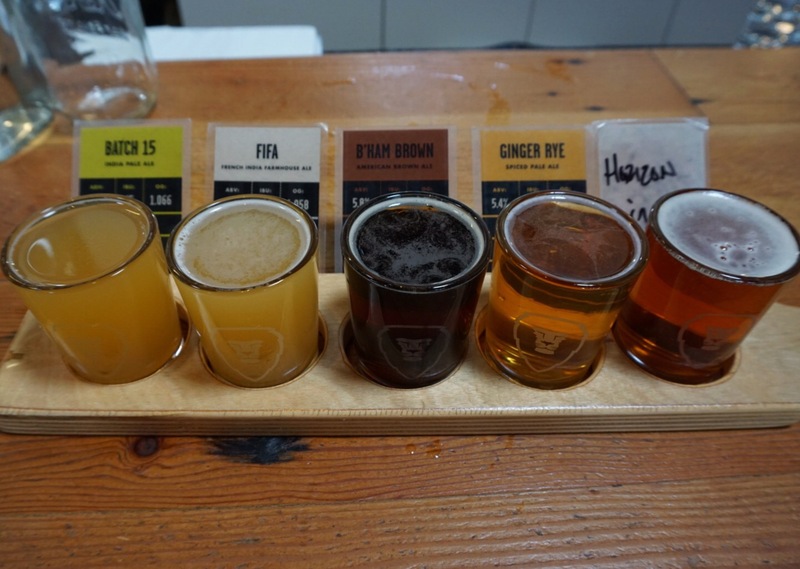 There’s some great options just over an hour drive from the Lower Mainland. I’ve heard about Aslan before and have always been a fan of their logo and branding, but had yet to try their beer. During the same week as VCBW they hosted a tap takeover at 12 Kings Pub in Vancouver, and although I didn’t attend, it reminded me that I needed to make my way to their brewery to sample their beer lineup. After a quick drive across the border, I found myself inside of their vibrant and spacious brewery. Local art and luscious plants (they have a horticulturalist/interior designer on their payroll!) were abundant. The brewery was absolutely packed at 3pm on a Saturday; likely because it was happy hour, which made for a great atmosphere. 16 oz pints during happy hour were only $4 U.S., which is more than fair. 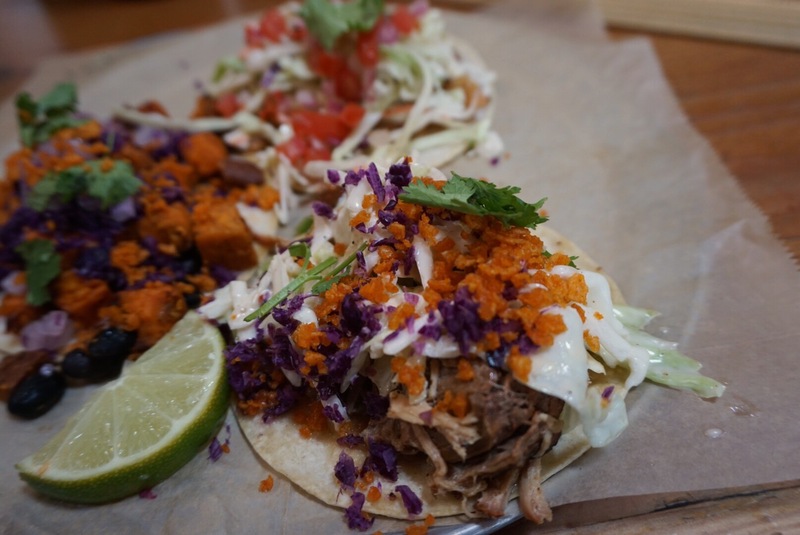 Also, in addition to their lineup of certified organic beers, Aslan offers a full food menu and solid selection of happy hour eats. I opted for a flight of five 4 oz tasters and one of each of the three tacos available on the happy hour menu. This award-winning brew from Aslan is very interesting. From my first sip I thought the aftertaste seemed bitter. A few seconds later it settled into a peppery aftertaste, which was unlike anything I’ve tried before! With a light and fruity body, this beer is quite well-rounded and offers a unique drinking experience. I’m still not sold on Farmhouse Ales (I prefer sours), but it’s a solid beer nonetheless. I love a good Rye and Ginger cocktail so I figured why the hell not try this pale ale? There was a nice subtle spice to this beer. Lighter bodied and less hop-forward then some of the northwest style pale ales I’m used to. If you thought a sessionable ginger rye spiced pale ale didn’t exist, think again! I haven’t tried many Cali Commons, which might be why I didn’t find this beer memorable. I would say that Fuggles and Warlock’s take on this style (Personas) is better. Horizon Lines is malt-forward and crushable, but not a stand out compared to Aslan’s other offerings. 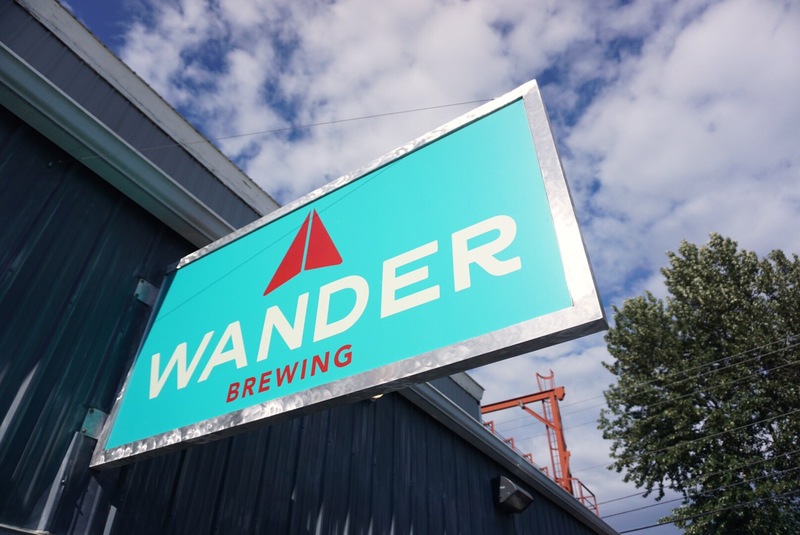 Just three minutes down the road from Aslan is Wander Brewing; another amazing local watering hole owned by the husband and wife duo – Colleen & Chad Kuehl. This is an approachable beer for those hesitant to dive into the sour beer game because it’s light and not overly tart. A sample glass wet the taste buds, but I could honestly put back a pitcher of this magical creation. Don’t though…that would be aggressive. This beer is best described as adult fruit punch. I used to drink an unhealthy amount of Minute Maid fruit punch when I was a kid, so I guess I’ve stepped it up a few notches at the ripe age of 26. Yay me! Seriously though, the Puncheon was by far my favourite beer of the flight and unlike any beer I’ve tried before. I hope they still have this on tap next time I visit Wander. 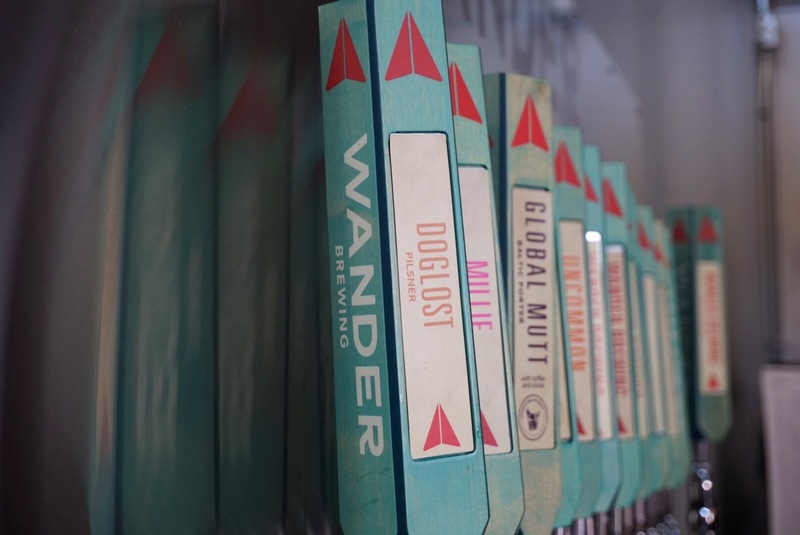 One of Wander’s most well-recognized beers, this Baltic porter earned its name from it’s ingredients being sourced from all over the world, hence the name ‘Global Mutt’. 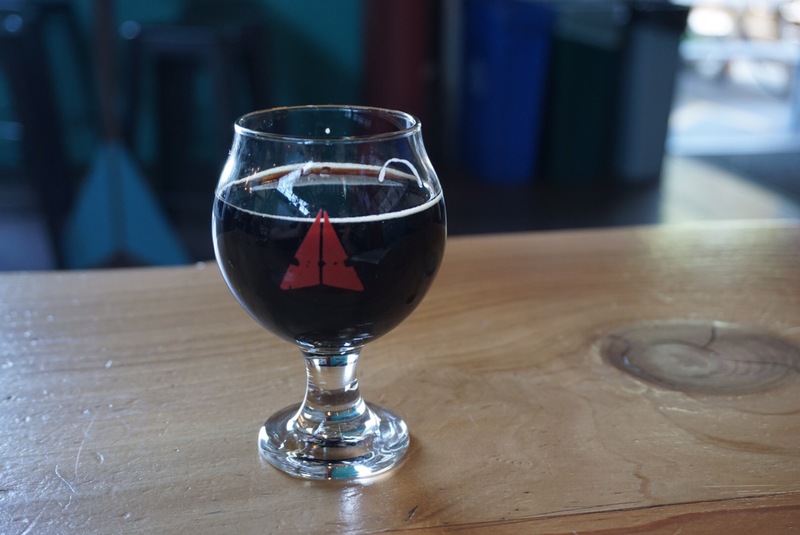 The beer is full-bodied and features rich chocolate flavours. Definitely a must try. Cream Ales are not one of my preferred beer styles, but pouring it on nitro definitely kicks the flavour up a notch. Smooth and silky. Best Cream Ale I’ve had to date! A tasty IPA with a punny name. Normally, an IPA would be the standout of my flight, but Wander’s fruit-forward beers stole the show on this afternoon! 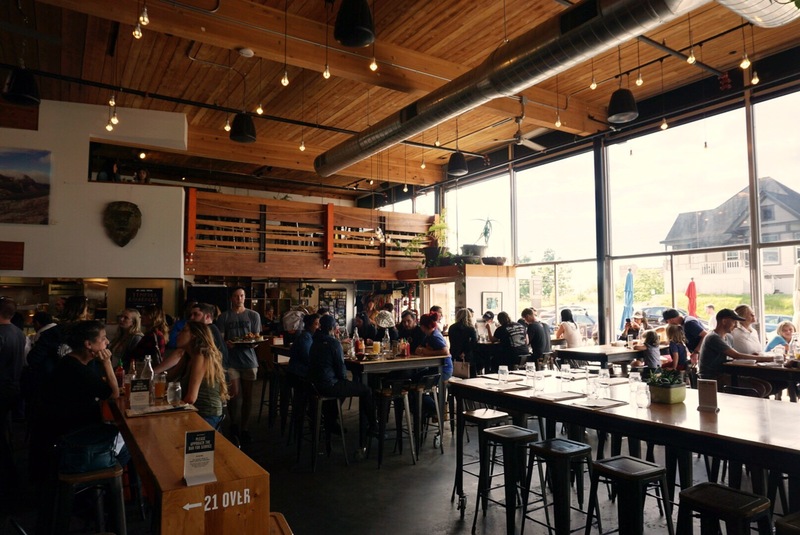 If you haven’t experienced Bellingham’s craft beer scene, it’s worth the short jaunt across the border. 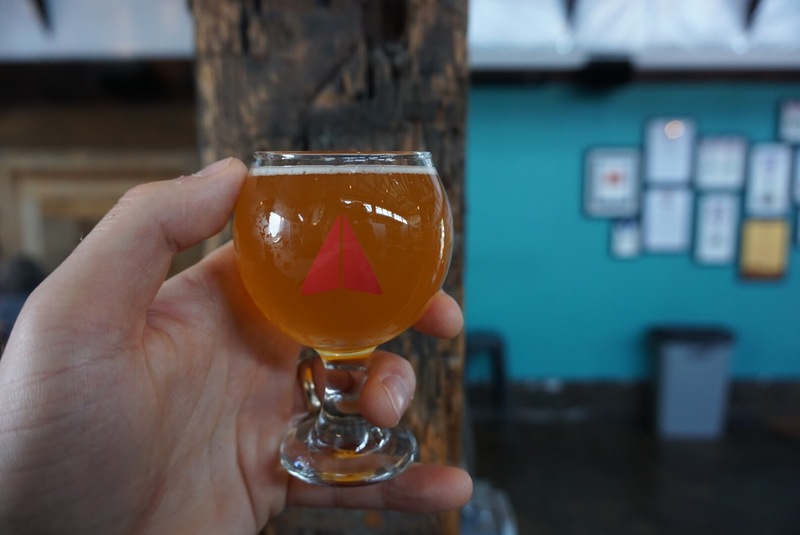 After visiting Aslan Brewing Co. and Wander Brewing, I can’t wait to go back with friends to cheers over some great U.S. craft beers and tasty food pairings. Remember, be responsible if you’re driving. Pick a designated driver, drink in moderation, or stay overnight. Enjoy! 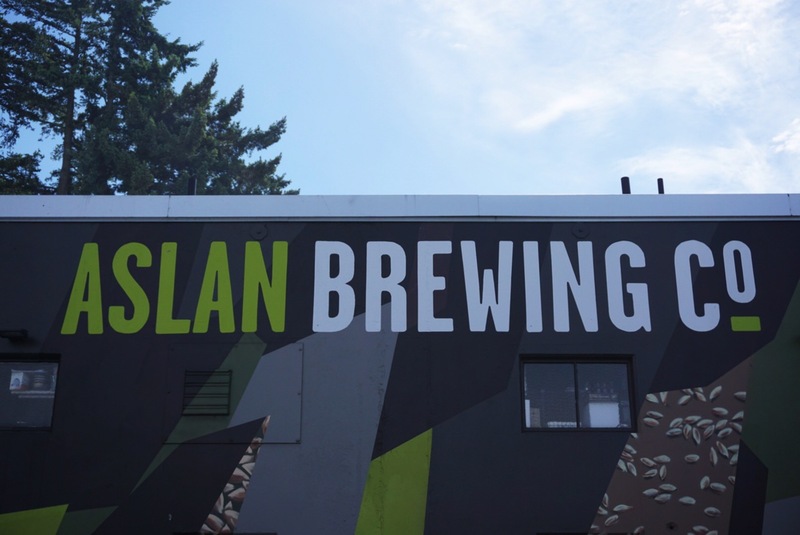 This entry was posted in beer review, Bellingham breweries, Bellingham craft beer, craft beer, local beer, Uncategorized, Washington breweries and tagged Aslan, Aslan Brewing Co., beer, beer blog, beer review, Bellingham, Bellingham craft beer, craft beer, organic beer, road trip, vanpours, Wander Brewing. Bookmark the permalink.